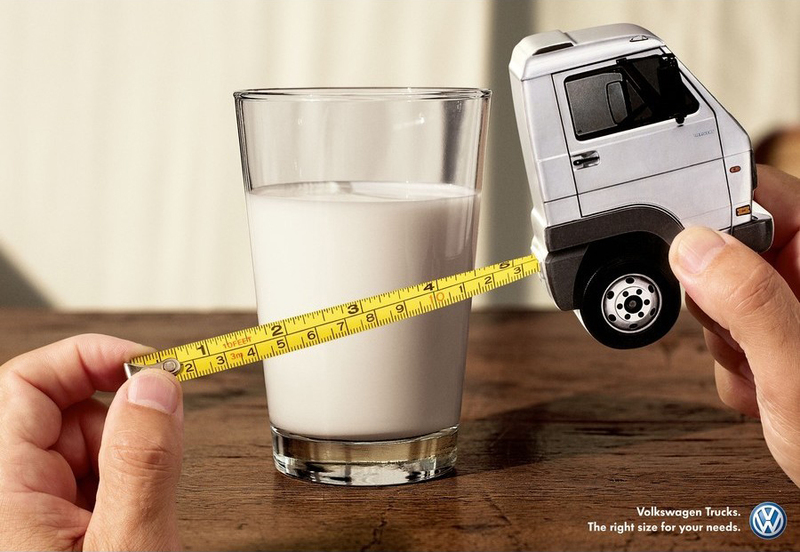 Volkswagen trucks come in the right size for your needs. That’s the message in this print advertising campaign from Almap BBDO, Brazil. 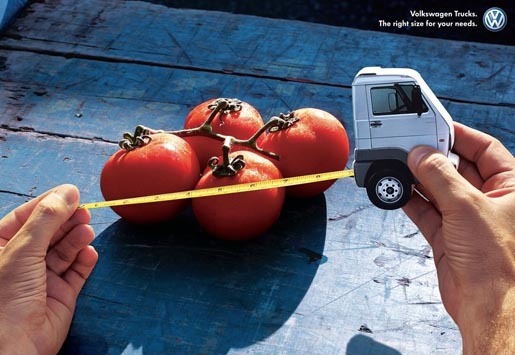 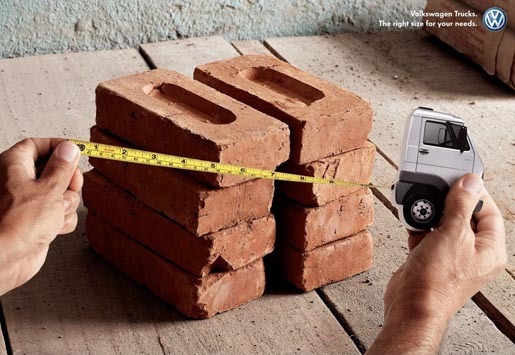 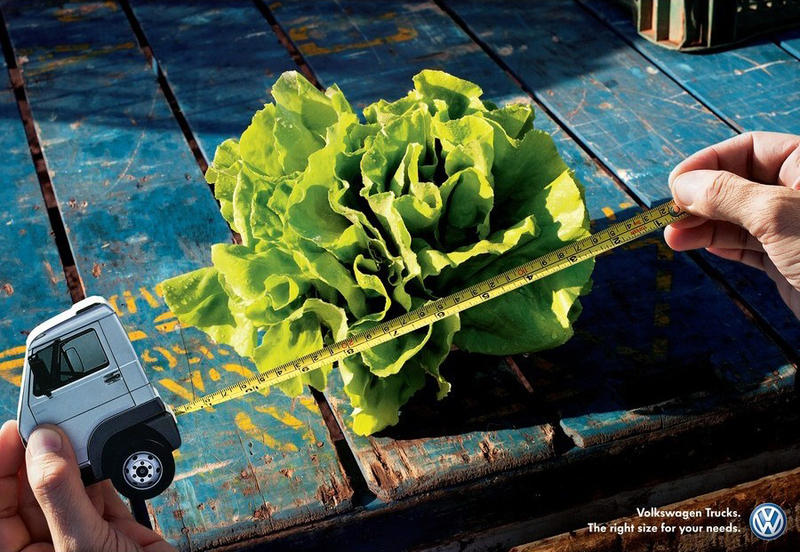 Model trucks are held next to a tape measure, aligned with “Bricks”, “Tomatoes”, ” Lettuce”, ” Glass of Milk” and ” Cans”. “Volkswagen caminhões tamanho certo para suas necessidades”. 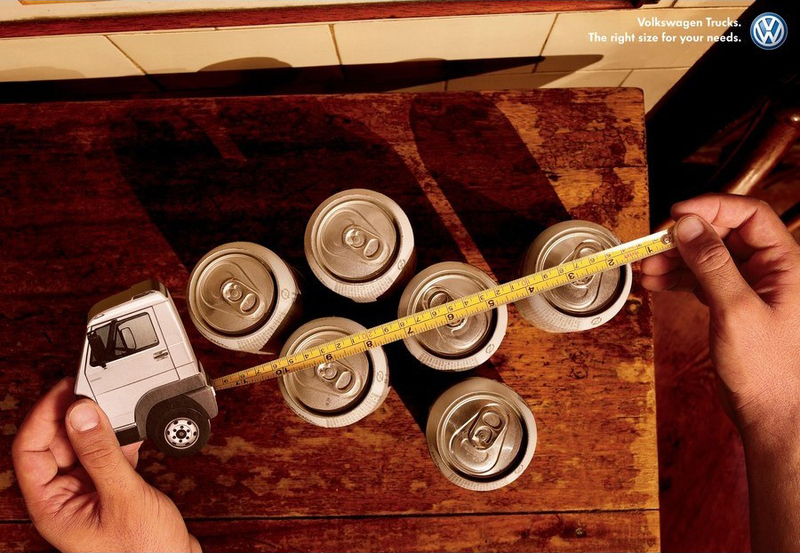 The Trucks campaign was developed at AlmapBBDO, São Paulo, by executive creative director Marcello Serpa, creative director Luiz Sanches, copywriter Marco Giannelli (Pernil), art directors André Gola, Luiz Sanches and Julio Andery, account directors Fernão Cosi, Filipe Bartholomeu and Camila Figueiredo, with MAN Latin America marketing team Ian Fadel, Ricardo Barion and Ana Maria Oliveira. Photographer was Mario Daloia.